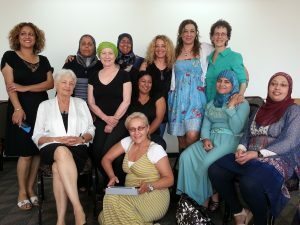 Shin is an Israeli non-profit organization founded in February 1989 to encourage the participation of women in political and public leadership positions in Israel. Since then, Shin has carried out numerous activities including public debates, campaigns in support of women candidates, and women’s leadership training. CRT currently partners with Shin in the implementation of Women Reborn: Social Empowerment for Palestinian Women, and the Young Women’s Parliament. Pictured here are Shin members Ibtisam Mahameed and Esther Hertzog. United Religions Initiative is a global community promoting interfaith cooperation and working to end religiously motivated violence. The URI includes over 300 “cooperation circles” in 65 countries, representing more than 100 religions, spiritual expressions, and indigenous traditions. CRT is a cooperation circle in the North American region of URI, and one of our programs, the Abrahamic Reunion, is a cooperation circle in the Middle East-North Africa region. The Alliance for Middle East Peace (ALLMEP) is a coalition of over 55 non-governmental organizations (NGOs) promoting people-to-people coexistence between Arabs and Jews, Israelis and Palestinians in the Middle East. Through ALLMEP, Americans from diverse religious, ethnic, and political backgrounds can join together in support to build lasting peace in the region. CRT is a member of ALLMEP. VICA was born from the observation that the Venice, Florida community was expanding, not only in size but in diversity. Although many Christian denominations were represented in the Venice area, there was no group that embraced the growing populations of other faiths as well. Venice Interfaith promotes the development of a local culture which reflects the love, understanding, and support of and between all community members as taught by all of the faith traditions represented in our society. Both individual and institutional members are welcomed. 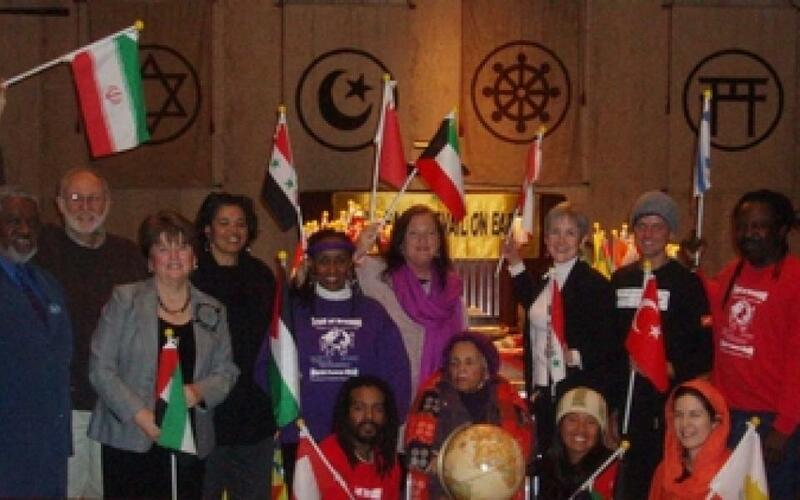 CRT partners with VICA on a variety of interfaith community events and activities. The Peace Education and Action Center connects and empowers people to build a socially just, non-violent and sustainable community and world. Currently CRT has and continues to collaborate with the center by setting up screenings, events and promoting peace within the community. 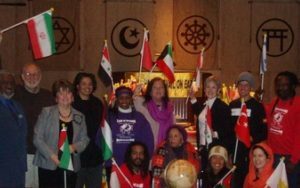 The Mission of the Ocean Interfaith Community is to promote religious understanding, tolerance, and appreciation through the hearing of the world’s sacred music, and fellowship with members of these religions. 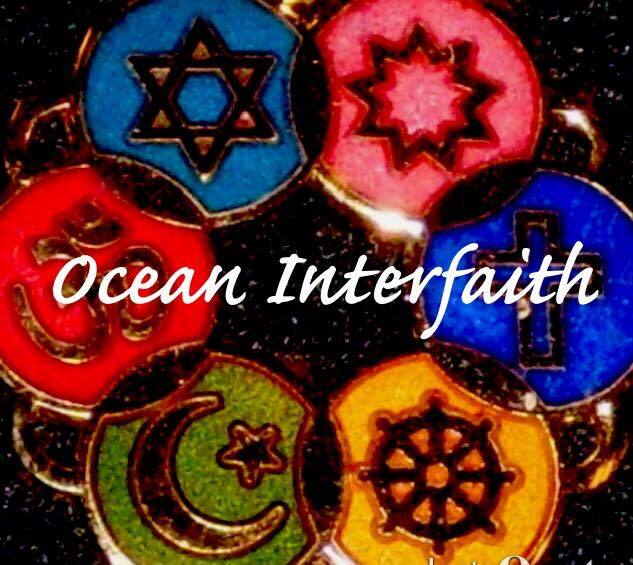 Ocean Interfaith is an organization of people of many faiths and traditions. 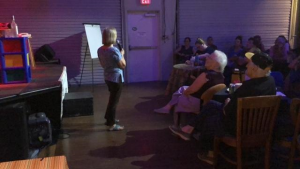 In addition to CRT, they have partnered with the Women’s Interfaith Network, the Baha’i Community of Sarasota, the Mitreya Center and the Unity Church of Sarasota. They host interfaith programs and concerts of music, meditation, and inspiration. People of all faiths and traditions are invited to join. Mpanzi’s mission is to advance the empowerment of women and girls, and eliminate violence against them. They believe in education, livelihoods, peace and non-violence benefit women and girls, and the community at large. 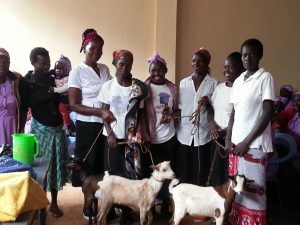 CRT has supported several Mpanzi projects, including a peace building program and an ongoing project to empower women, and currently partners with them on the Seeds of Change project.